AMD and Amazon Web Services (AWS) today announced the availability of new AWS instances powered by AMD processors at AMD’s Next Horizon event held in San Francisco. Operated as variants of existing optimized and general purpose instance families at AWS, they will use AMD's Epyc x86 processors launched last year as the chip maker looks to challenge the dominance of Intel in the data center. The new AMD-based M5 and R5 instances are available in six sizes with up to 96 vCPUs and up to 768GB of memory. They are available immediately in US East (Ohio, N. Virginia), US West (Oregon), Europe (Ireland) and all Asia Pacific regions – with availability in additional regions planned soon. A new AMD-based T3 instance designed for entry-level general purpose workloads will also be available in the coming weeks; it will be offered in 7 sizes with up to 8 vCPU and 32GB of memory. “Our goal with Epyc is to reach the largest number of users possible. The cloud is the tip of that spear. 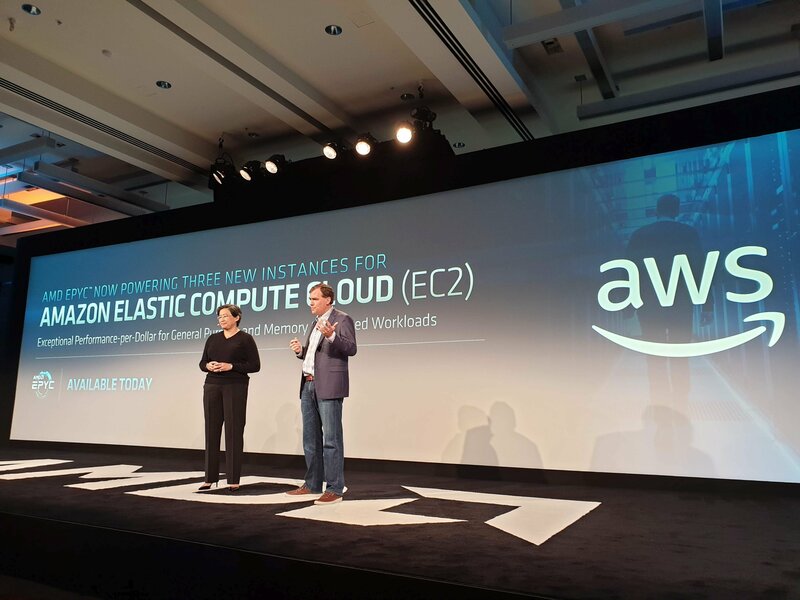 We must be partnered with the number one cloud provider in the world,” Dr Lisa Su, AMD’s president and CEO, said at the event. Garman says the new R5a and M5a will offer 10 percent savings on compute costs and will work with existing system images. To switch, existing customers only need to relaunch their instance with the correct selection from either the AWS Management Console or AWS Command Line. “The powerful combination of cores, memory bandwidth and I/O on AMD Epyc processors create a highly differentiated solution that can lower TCO for our customers and lower prices for the end-user. 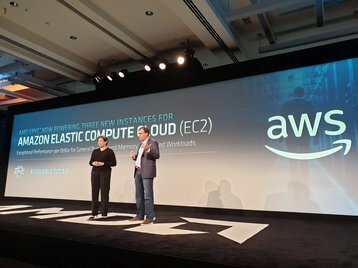 Working with AWS, the number one provider in cloud services, has been amazing for the AMD team and we are excited to see the new instances come online today for their customers,” Forrest Norrod, senior VP and general manager of AMD’s Datacenter and Embedded Solutions Business Group, said.